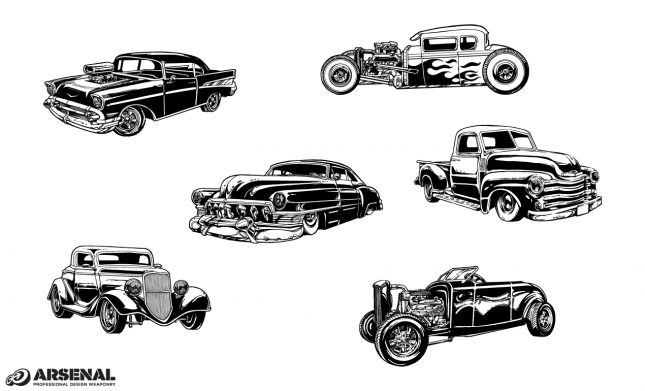 Arsenal Artist Paintedbrain returns with another vector pack in his distinctive style. 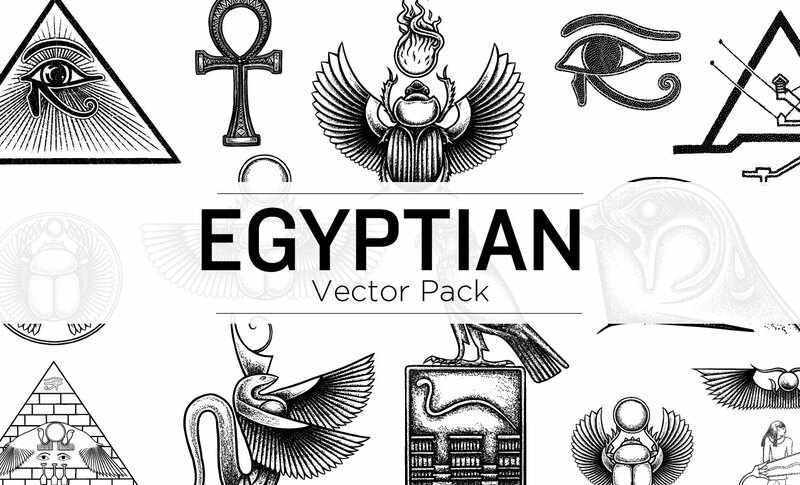 The Egyptian Vector Pack includes 14 individual elements that will transport you to another land. 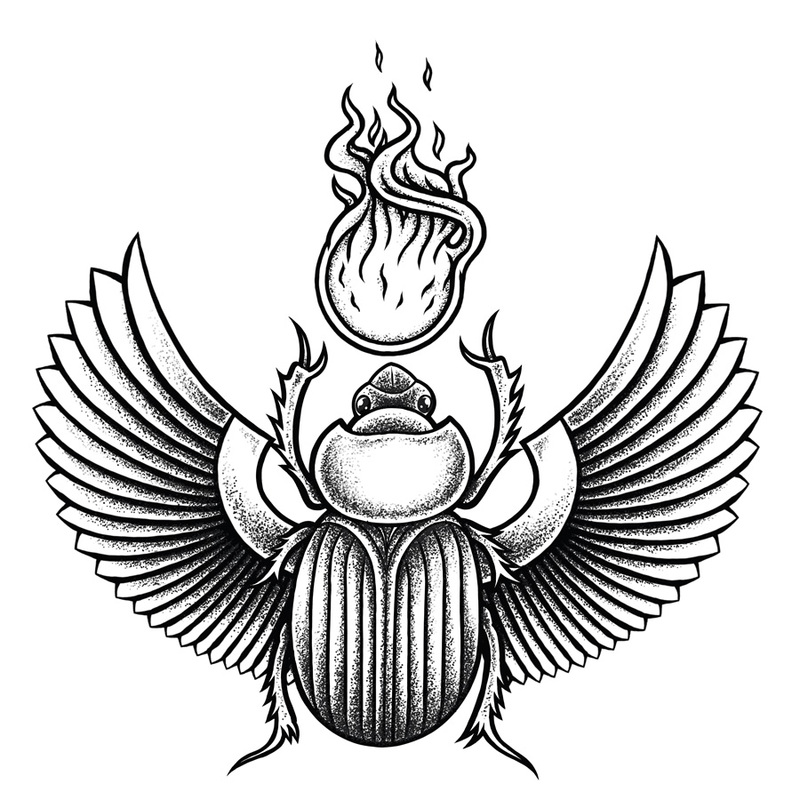 Paintedbrain hooks you up with Egyptian hieroglyphic symbols such as a scarab beetle, the Great Pyramid, and other symbols of mortality. 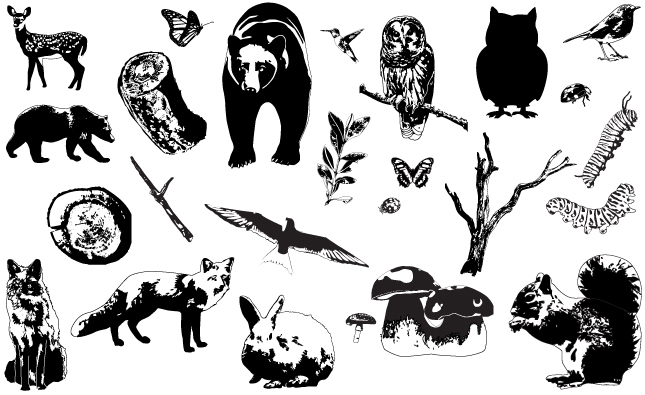 These royalty free vector elements are perfect anyone designing t-shirts, gigposters, album covers, and other great works of art. Fully customizable, these decorative vectors add unique detail to any design. 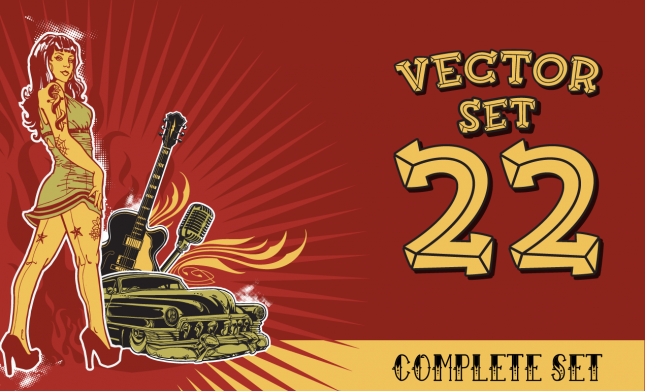 Open the Egyptian Vector Pack in Adobe Illustrator and you’re ready to construct your own masterpiece. 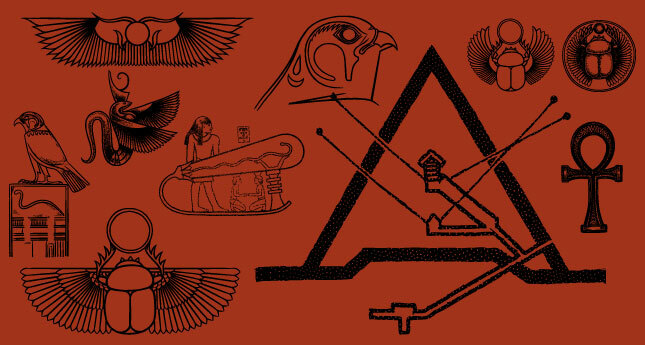 This symbol associated with divinity, royalty, and power in the Ancient Egypt. The Ankh is also known as the key of life. The hieroglyphic character☥, meaning “life”. 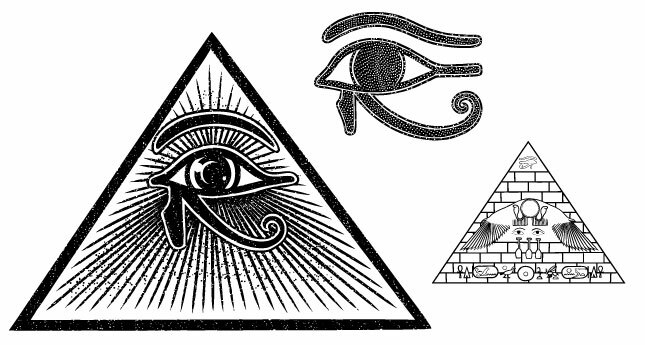 The all-seeing eye is a symbol showing an eye often surrounded by rays of light or a glory and usually enclosed by a triangle. It represents the eye of God watching over mankind (or divine providence). In Egyptian mythology, the winged Serpent is associated with Rulers (Kings or Queens), usually as protectors or guardians. The Eye of Horus is an ancient Egyptian symbol of protection, royal power, and good health. The falcon-headed Sky God. Horus is the god of the sky, and the son of Osiris, the creator. Horus became depicted as a falcon as seen here. The Great Pyramid of Khufu – interior view. Revealing the great pyramids internal chambers, passages, and alignments to the star systems Orion Belt, Sirius, Beta Ursa Minor, and Alpha Draconis. A Pyramid adorned with hieroglyphics with a capstone encasing The Eye of Horus. This ancient symbol is a supposed to represent an Egyptian electrical lighting technology depicted on stone reliefs in the Hathor temple at the Dendera Temple complex located in Egypt. 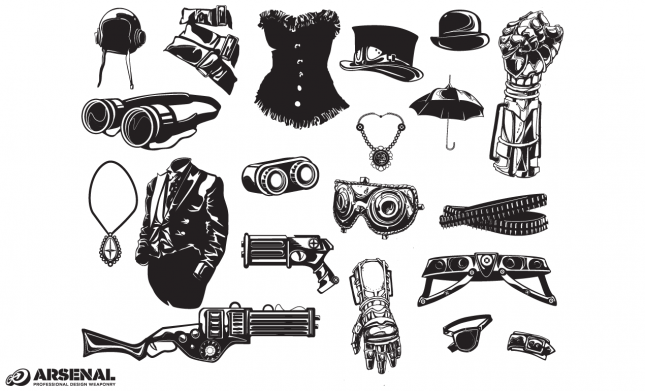 If you love the Egyptian Vector Pack, check out the Black Forest Vector Pack, Animal Horns Vector Pack, Vacuum Tube Vector Pack, and the Lock and Key Vector Pack, also by Paintedbrain. Paintedbrain is an illustrator from New Zealand. 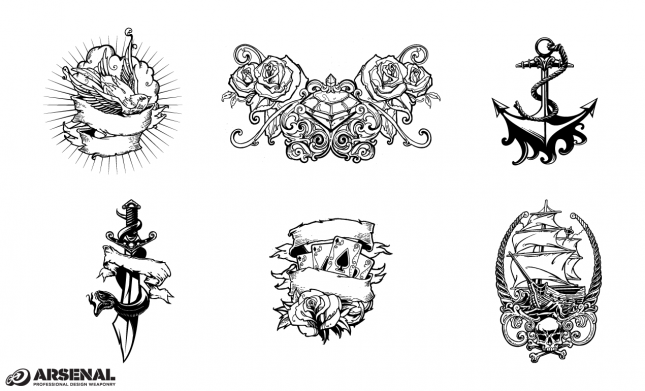 Featuring a dark inked style that is informed by pen and brush illustration with a solid foundation in design. These vector components have been designed to work with the existing Arsenal ecosystem, or on their own enabling you to build new designs. The new Arsenal is not just limited to Go Media artists anymore! We're looking for exceptionally creative minds and skillful hands to contribute to this growing marketplace. Earn generous monthly royalties, project opportunities, and gain recognition while doing what you love. Think you have what it takes? Please apply! Become a member of the Arsenal and get access to all the Arsenal’s exclusive content for one low monthly fee.